Hey there! I want to share my Pinterest-inspired braided cuff with you. It’s something I pinned a while back and when I got word Xyron was doing a blog hop with Epiphany Craft I thought it a great opportunity to track down the tutorial and make it. I love Pinterest and the board list just keeps growing under my name, but fortunately I’m learning to organize them a bit better so I can actually find something when I need it. When my package for the hop arrived from Xyron with the Epiphany Crafts products inside I was so excited to find I had received a packet of charms because I knew immediately they would be used on the braided cuff. I had never used any of the Epiphany Crafts products prior to this but they were so easy to use and worked just as the package said they would! I love that the charms I received are double-sided. So often these little charms are one-sided so the backside remains plain. I was able to utilize both sides of the charms for when they flop over. 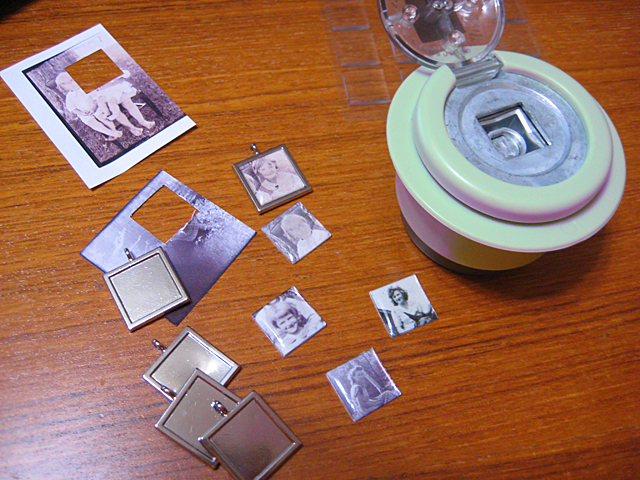 I gathered up a grouping of old family photo copies and used the Epiphany Crafts Shape Studio Tool Square to punch the photo and apply the Shape Studio Accessories Bubble Caps Square Epoxy Shape. I am impressed as to how easy it is to punch and adhere the epoxy with just one step. 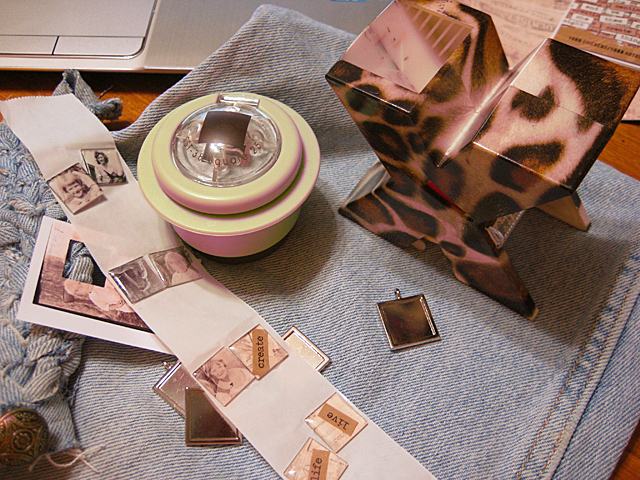 I swapped in some pretty pattern paper and little word stickers from Tim Holtz to use on the opposite sides of the photos for the charms. 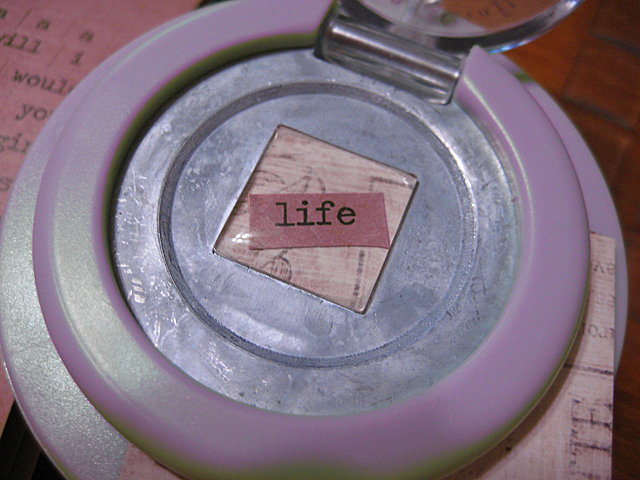 Then I ran all the little pieces face-up through the Xyron 1.5″ Create-a-Sticker and adhered them into the charms. When the charms were all done I started work on the braided cuff. Heidi over at Sew, Craft & Create has a wonderful tutorial for cuff and I was able to understand the directions as well as have the cuff turn out well. I started with the leg from an old pair of jeans that my husband saved for me. He’ actually beginning to understand there are certain items you just don’t throw in the trash and denim is one of them! 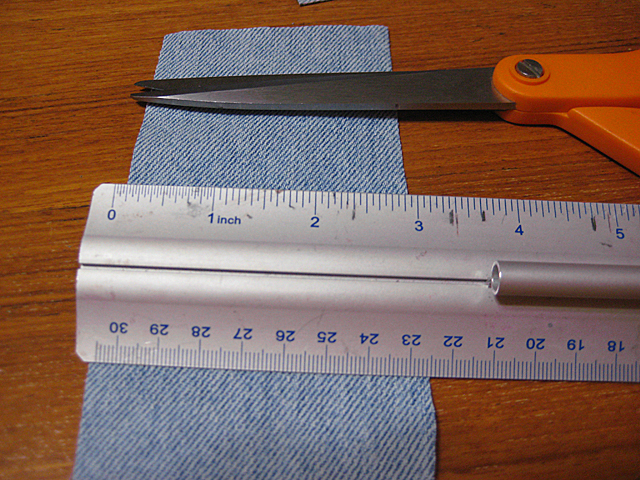 I cut the denim to the dimensions specified in Heidi’s tutorial and wrapped it around my wrist and having a 1-inch overlap. 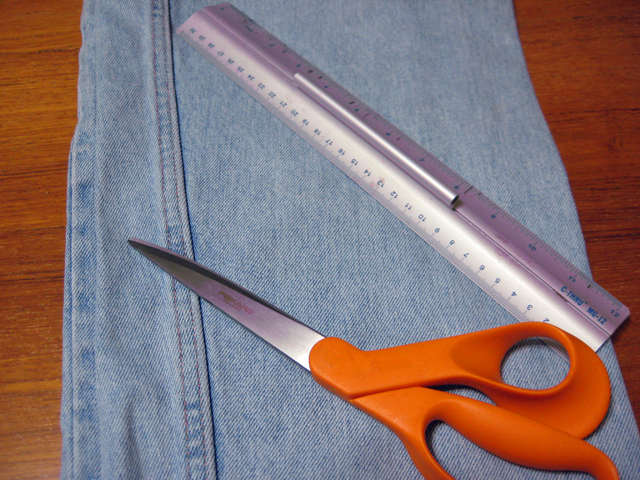 Next I cut the strips and stitched them to the main piece just like the tutorial said. Then I followed the directions to make the braid. Easy-peasy! 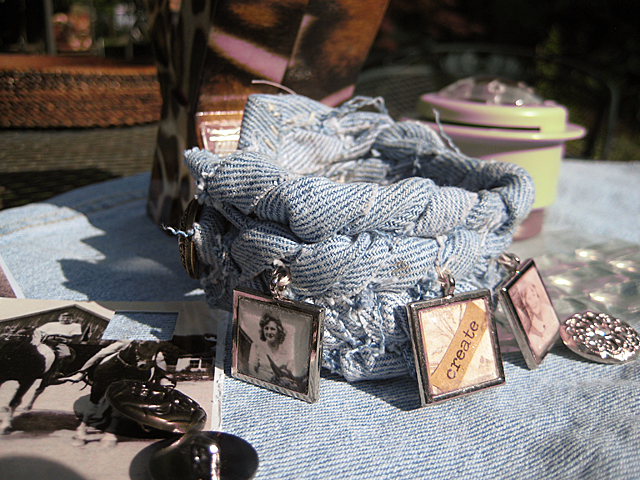 The braided cuff provided the perfect backdrop for the Epiphany Charms. I hand-stitched them on using carpet thread because of it’s durability. This is the first cuff I’ve made and I’m really liking it and will be making plenty more of these. They’re so much fun to make and to be able to add old family photos (or use someone else’s family) is just the icing on the cake! I chose to use photos of my mother at various stages in her life. I have since added some vintage white buttons and I may add some clear beads to it as well. 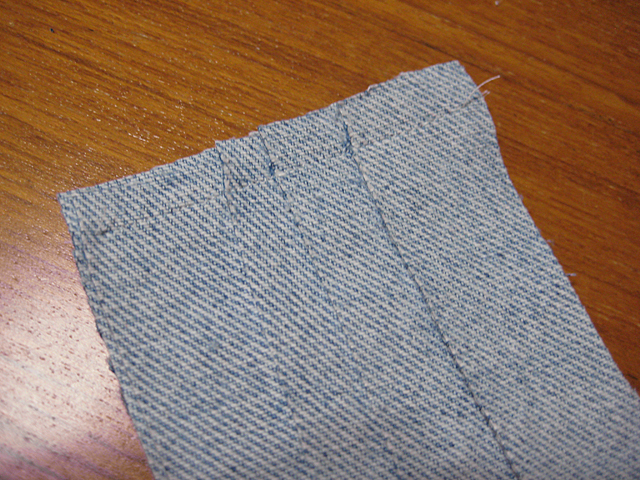 The denim with its unfinished edges frays nicely and give the cuff that worn, vintage look. It is very comfortable to wear. I can’t wait to see what other shapes Epiphany has for the charms. I think this would be great with a mixture of shapes and sizes. Be sure to stop by the Xyron Blog and Epiphany Blog to see what great projects the other designers have been creating! Really interesting and beautiful project. I love the way you think! That’s so beautiful and unique! LOVE it, Linda! Linda…..I just love jewelry!!!!! This is great. This cuff looks even better in person! Great project! Love this Linda. Fabulous project. TFS the links.